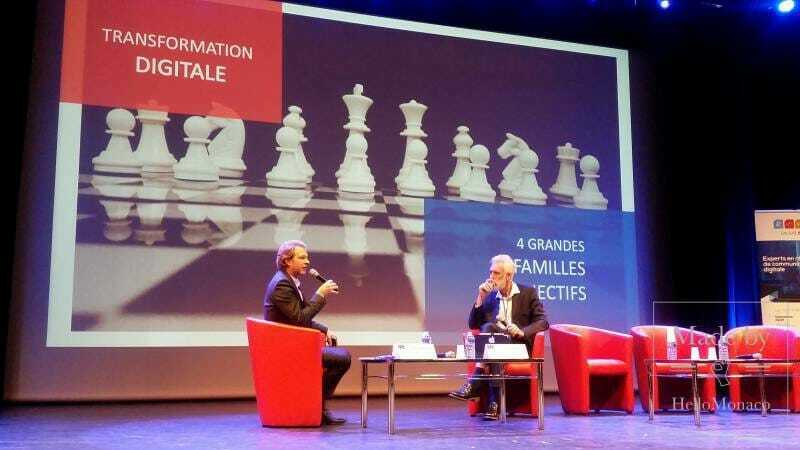 What about attending a one-day event entirely devoted to all Monegasque businessmen aimed at debating on the latest challenges and operating modes in the field of Economics? 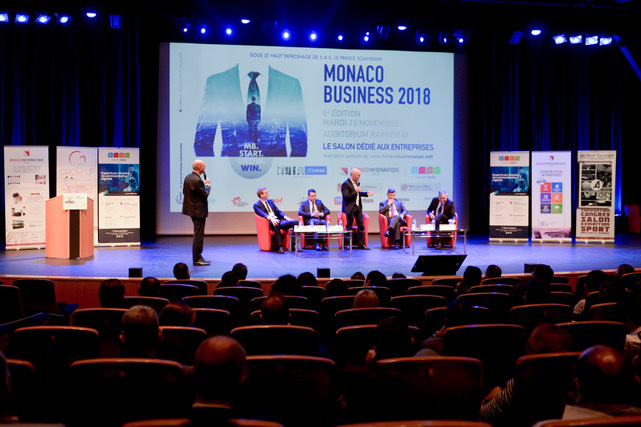 The 6th edition of Monaco Business (MB.2018), under the high patronage of H.S.H. 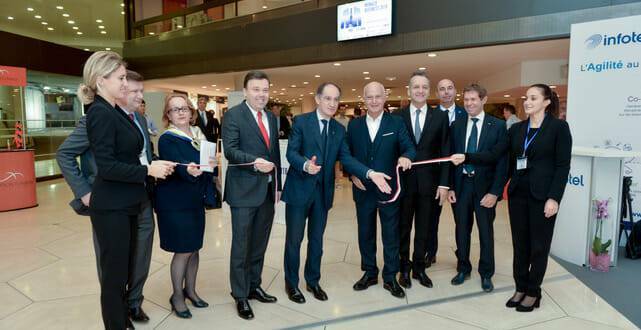 Prince Albert II of Monaco, held at the Auditorium Rainier III last Tuesday (13th November 2018) was a real opportunity for the best companies and new start-ups to interact within a long session of workshops, conferences, exhibition stands and networking opportunities in the view of the processing of Monaco as a privileged “Smart Nation” resulting from the Digital Transition mission. An ideal B2B hub where to improve their businesses and welcome new international partners in the presence of more than 40 stakeholders. Born from the idea of Maurice Cohen, President and CEO of Monaco Communication, to create a major real platform where the Monegasque entrepreneurs could meet and exchange their ideas to create new opportunities, the 2018 edition offered the audience the chance to hold in their hands what making business means in a digital-oriented dimension, through a series of in-depth conferences. Local and international economic future trends, business incubators, marketing, environmental protection, social media and new technologies were some of the main issues dealt with by panels of experts. The process towards Monaco as a “Smart Nation” has already started and it develops through three main axes: smart city, digital education and e-health care. Thus, the Conseil Nationale created a specific Committee devoted to the development of digital tools in order to manage the full implications through a governmental institution via a budget provision to be approved and all further official steps. The concepts of “Smart Nation” and “Smart City” is often associated to e-citizens and e-government. The main institutional mission is to develop them at various level and to guarantee the necessary infrastructures. The digital revolution, in fact, is affecting administrative, legal and social aspects, at the same time, that is relevant for any business-oriented activity. It is essential to adapt the Monegasque legal apparatus to European directives in this respect as pointed out by Julien Franck, National Counsellor at the “Commission pour le Développement du Numérique”. “Smart” means intelligent and implies big data collection on which Internet of Things devices are based. Hence the need to diversify the sources of information & data of general public interest. An e-Country, in fact, is not only a dematerialized territory but it needs a precise digital identity. What will be the Monegasque one? That is the question under discussion. According to Georges Gambarini, Smart City Project Section Chief, the Principality has to improve its attractiveness, its environmental engagement, urban management and other cross-sectorial subjects (education, health, mobility) in order to better engage with users through a digital network able to communicate in different languages and in a user-friendly way for all addressees, including non-digital natives. 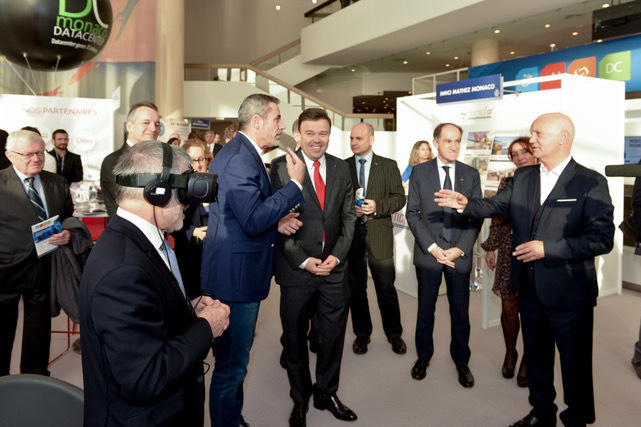 On these basis, an experimental virtual 3D-model project with reference to the Condamine district was promoted by SMEG (main energy and gas supplier) in partnership with SIRADEL. It makes the users be updated in real time on different data like: urban development, energy efficiency and mobility, as presented by Thomas Vanquaethem, responsible for the Digital sector at SMEG. A Smart City is definitely able to improve our lives via a multitasking interconnected system able to boost collaborative learning experiences in the hotel trade, in transportations, in hospital sector and even to better organize our leisure time. The digital transition, the so-called fourth revolution, can really help preventing disasters, surviving emergencies and saving lives through long-distance medical care, highlighted Thierry Bonnin, Vice-President – Verticals & Strategic Alliances at Alcatel-Lucent. The Principality of Monaco has the power to find creative digital solutions to become a model for the rest of the world. 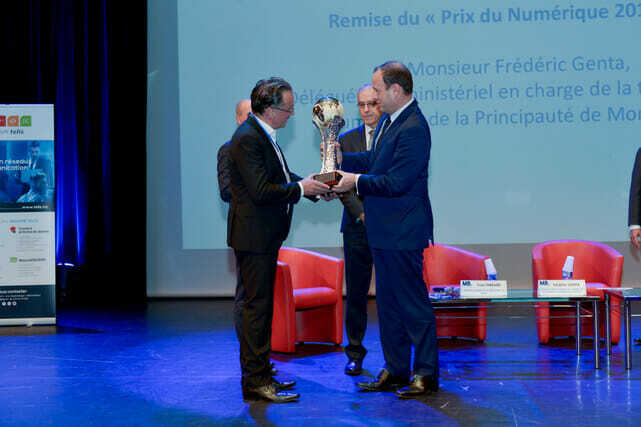 The start-up “TAMANOIR”, developed by SURGISAFE that was awarded the first MB.2018 “Prix du Numérique”, represents an excellent example of digital technology at the service of human health willing to detect some types of cancer by a connected non-invasive method. 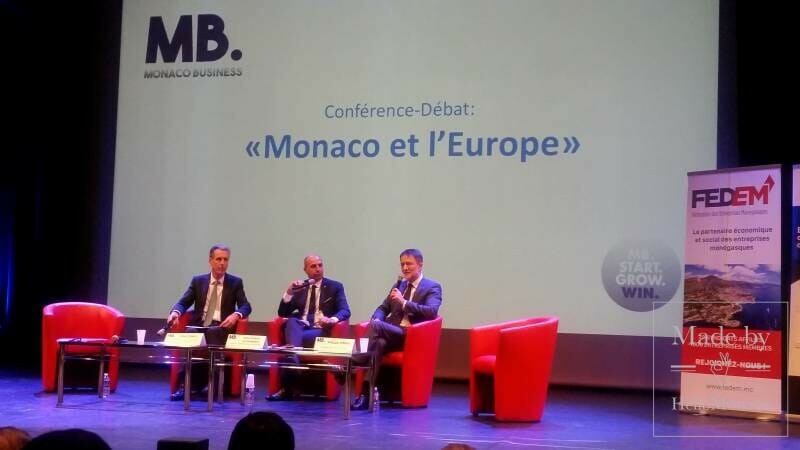 Conference NO.3: « Monaco and Europe» (Monaco Business 2018). But how does it affect the business world? The e-commerce is not a fashionable trend anymore considering that 4 billion people are connected through Internet worldwide and each of us is spending online at least 6 hours per day (EU average), underlined Florent Rudolf, director of the “Agence Conseil Digital et Innovation OAIO”. The ability to promote your products or services via the Net increasingly meets the condition of being always coherent to your business and being aware of ongoing innovations that brought fundamental social changes. Questions remain over some key problems. Will human labour be totally replaced by digital equipment? How to better change our professional skills to adapt to the digital revolution? How to protect our business transactions ensuring a real cyber security and impartial performance-feedback evaluations? How to improve digital services in non-digitalized sectors? How to best respond to the change management? It is hard answering all those questions at one time but it seems essential in order to give the human being a central place in the digital revolution, underlined Mr Rudolf. Conference NO. 2 « The challenge of the Transformation of IT Directions and Professions : Facilitation of Processes » (Monaco Business 2018). From a legal and administrative point of view the Principality is investing in enhancing a closer cooperation with the European Union – EU (started in 2015) on the basis of reciprocal win-win agreements resulting from an essential legislative, economic and insurance harmonization taking into account the small-size territory which is capable, however, to attract international top-level businesses including those from the Eurozone. H.E. 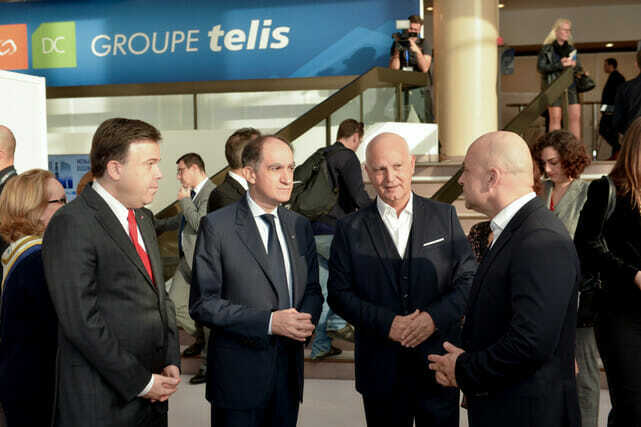 Gilles Tonelli, governmental counsellor and Minister of Foreign Affairs and Cooperation pointed out the importance of cooperating with the EU as a crucial step for Monaco’s growth, supported by Philippe Ortelli, President of FEDEM (Féderation des Entreprises Monégasques), firmly convinced that the Monegasque social-liberal model is being winning. Conference NO. 6 « Blockchain, leading the change» (Monaco Business 2018). Also, financially, it is extremely important to protect local businesses from any cyber-attack, reputation damage, espionage and sabotage within the Principality. 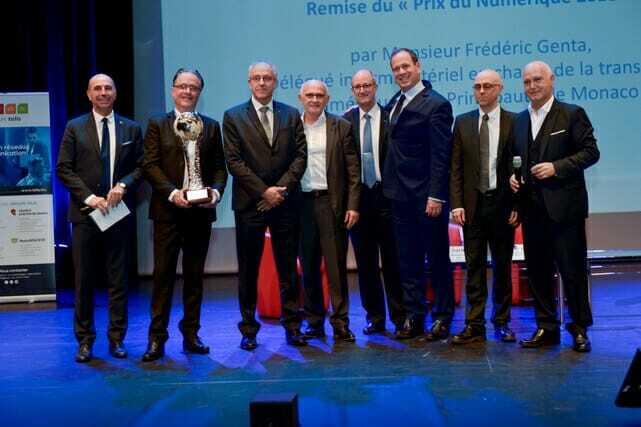 Consequently, the Monegasque Cyber Security Agency, established in 2015 by the Gouvernement Princier and directed by Dominique Riban, is improving a detection system even more efficient that is working well with major banks and insurance companies, the most receptive actors in the Country, with the aim at involving an increasing number of areas. Conceiving Secure Cyber Design should become even more significant facing the big data management. A fundamental step will be the launch of a personal digital ID for all Monegasque residents in the near future. Living the under-way 4th revolution means also rethinking the concepts of production, management and governance in view of the spreading of new technologies like blockchain, literally a chain of blocks to store information about transactions and other specific information able to differentiate one block from another. This complex high-tech device, on which the crypto currencies are based, can help simplifying transactions if properly regulated with special regard to traceability. 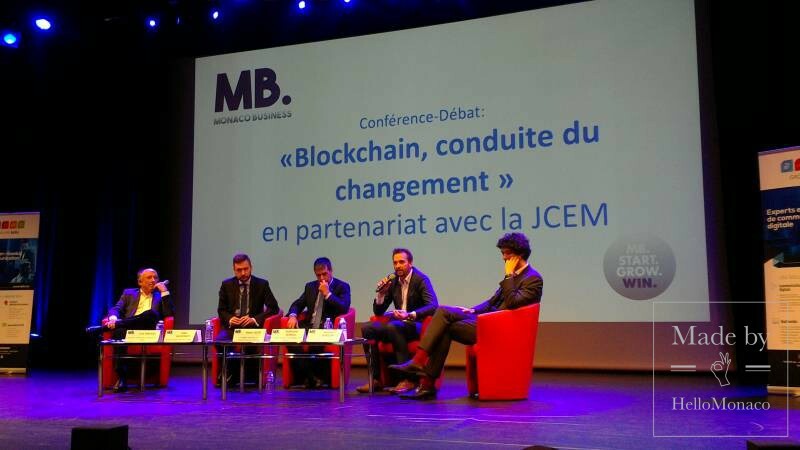 It is unfair, then, to jump to radical conclusions on these issues that can be an integral part of our future if backed up by appropriate guaranties to be considered as safe financing facilities, as stressed by the 6th Debate named “Blockchain, leading the change”, promoted by Guillaume Verneuil, speaker of the “Jeune Chambre Economique de Monaco”. Conference NO. 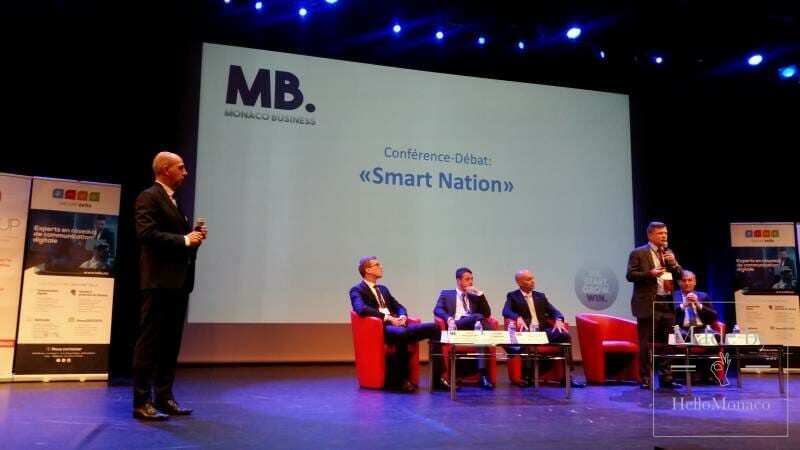 1 : « Smart Nation » (Monaco Business 2018). The Monaco’s Digital Transition shall pass through legal safety to be developed by local stakeholders via integrated cloud-based tools that operate at multiple level to offer the Monegasque residents the best services with a particular emphasis on digital economy, learning and healthcare sector. The uniqueness of the Principality of Monaco as an international and multicultural center, whose quality of life is animated by residents and workers, holds its merit in grasping new business opportunities with the aim of putting the digital industrial revolution at the top of the Monegasque strategy, very much in line with the Prince Sovereign’s thought. “We would like to make Monaco a Digital leading Country”, as stressed several times by H.E. Frédéric Genta, Interdepartmental Delegate in charge of the Digital Transition of the Principality of Monaco.